The Electro Reflex Energizer® is produced by the same manufacturer who makes the famous Chi Machine®. Not just another massager, the Electro Reflex Energizer® utilizes low frequency stimulation to provide the ultimate feeling of relaxation. No other machines can compare! Use your Electro Reflex Energizer® to promote your well-being. Just 5-30 minutes a day with the Electro Reflex Energizer® will help your feet feel better, further relax and revitalize your entire body. Foot massage promotes the circulation of your blood while loosening tense muscle tissues. Unwind with the Electro Reflex Energizer and feel the low frequency acupressure “fingers” gently massaging the bottoms of your feet as you drift into complete relaxation. * Helps to relax tight muscles before running, walking, or any other exercise routine. * Quickly soothe and refresh your aching feet with the penetrating massage action. * Choose from circulation-increasing oscillation actions including pounding, relaxing and massaging. * Computerized programs vary the speed and intensity of the oscillation massage automatically. 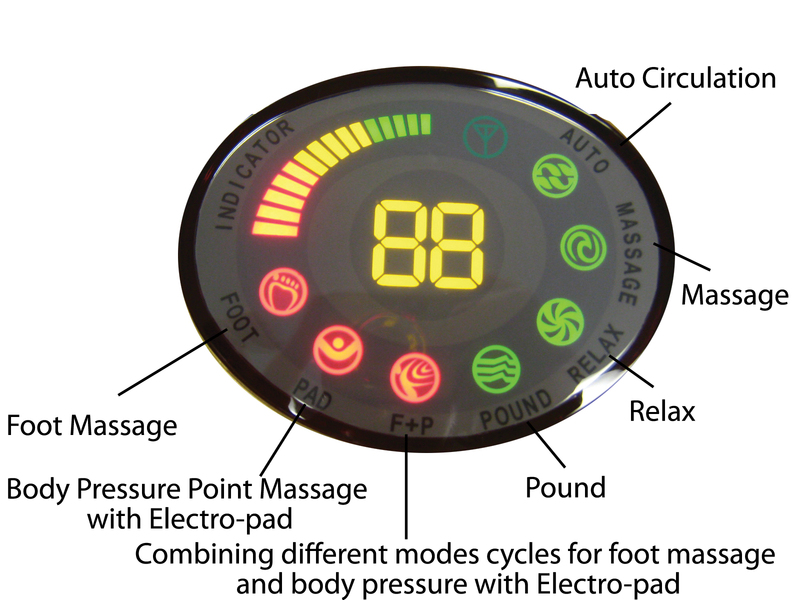 * A control dial is available to let you set just the right amount of massage intensity. * Easy to use timer, which can be set at 5-30 minutes in five-minute interval. * Replaceable electro pads used to pinpoint and stimulate additional areas such as neck, shoulders and back. * Portable and lightweight for travel use! 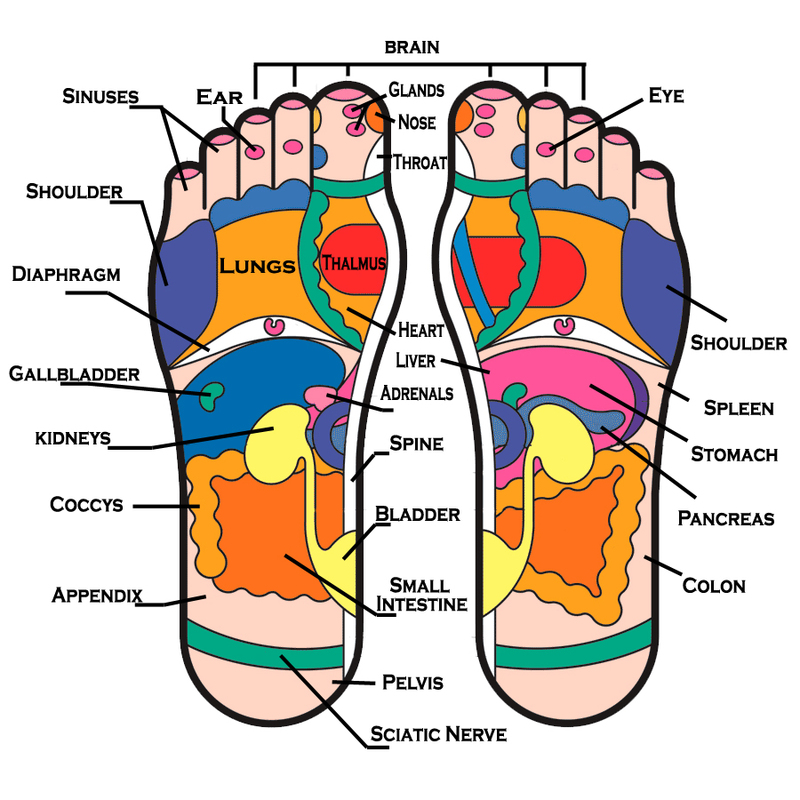 Reflexology is the art of reprogramming the atoms, cells, and electrons of the body to their original state through the triggering of signal points on the foot or hand. It is a science that deals with the principle that there are reflex areas in the feet and hands that correspond to all the glands, organs, and various parts of the body. Reflexology includes, but is not limited to relieving stress and tension, improving blood supply, promoting the unblocking of nerve impulses, and helping nature achieve homeostasis. Visit our Order Page for purchase. © 2008 Hsin Ten Enterprise USA, Inc. All rights reserved.